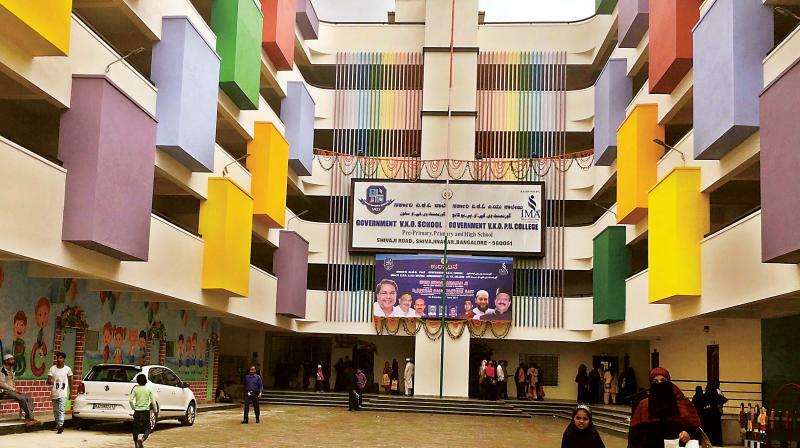 BENGALURU: While modern educationalists believe that extra-curricular activities play an important role in moulding GenNext and sports administrators dream of producing world class talent,, the situation on the ground is rather dismal. As per the latest government data, only five of the 778 elementary and secondary government schools in the Bengaluru educational division have playgrounds. Primary and secondary education minister Tanveer Sait shared it in the legislative council on March 24 to a question raised by Ganesh Karnik (BJP). According to the state's sports policy, at least 1 acre for a primary school and 2.5 acres for an upper primary school should be available for use as playgrounds. If playgrounds are not available, the Karnataka Knowledge Commission said schools should allocate space for common playfields and playgrounds within 2kms. Irrespective of the correct number, the fact remains that many government schools do not have playgrounds. In most such schools, students don't engage in outdoor games or physical training due to lack of playgrounds. The unwritten rule, according to official sources, is that schools without playgrounds must focus on indoor games and theoretical aspects of sports. "The physical education subject, compulsory in schools, is 50 per cent theory and 50 per cent physical activity. In the indoor games category, most schools without playground teach yoga and simple exercises for healthy living,'' said an official.